1) Dry the chicken breasts by patting with kitchen paper. Then slightly score each one with a knife. 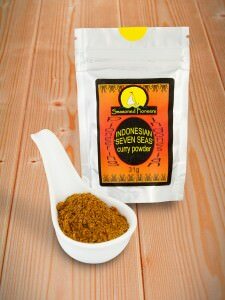 Rub the Indonesian Seven Seas Spice blend thoroughly into each chicken breast. 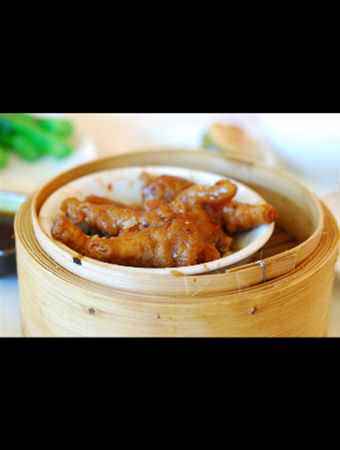 2) Fill a wok with about 5cm / 2″ of water and place the chicken in a steamer or on a rack on top of the wok and cover. Heat the wok until the water is steaming and cook for 30 minutes. 3) Remove the steamer and the chicken. Sprinkle with the light soy sauce and put to one side. 4) Dry the wok and line it with a couple of sheets of aluminium foil. 5) Mix the tea leaves, rice and sugar together and spread over the foil. Put the steamer/rack and the chicken back on top of the wok. 6) Put the wok on a medium heat until the tea, rice and sugar mixture starts to smoke. Leave to smoke for about 15 to 20 minutes. 7) Check to ensure that the chicken is fully cooked (if so you can discard the rice, tea and sugar mixture otherwise continue to smoke until the chicken is cooked). Slice the chicken and serve hot or cold.